Happy Thursday everyone! 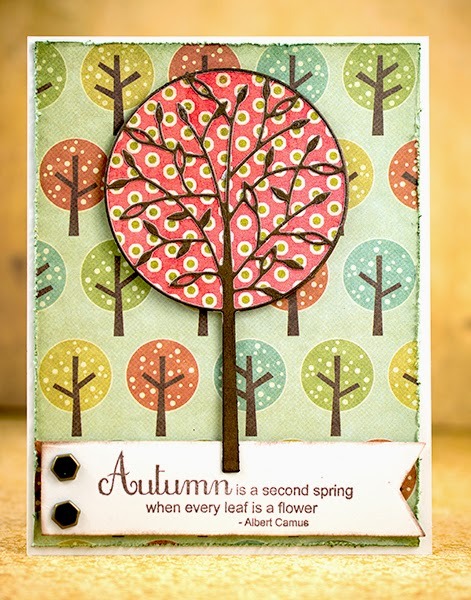 Robin here with my design of the week for Dies R Us! I am constantly amazed by how many companies Dies R Us carries. My card was actually inspired by the background paper! I was trying to sort out my stash of paper, good luck there, when I came across this tree paper. I knew the perfect die to go with the paper! 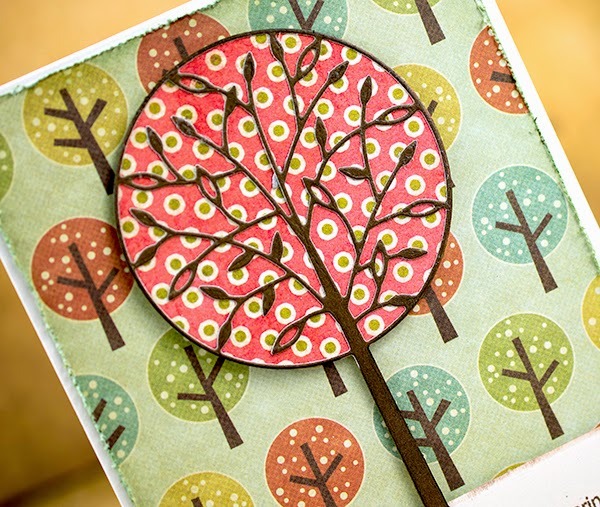 Using a similar paper to my background paper, I cut my tree with Memory Box Alessandria Tree and Alessandria Tree Background. I then glued the two parts of the tree together using spray adhesive. After distressing the edges of my background paper I sponged the edges with Shabby Shutters and adhered to my top fold card base. I stamped my sentiment and made my own banner; added a couple of brads and added to my card with foam pop ups. The tree was added using foam pop ups and the trunk was glued to the banner! Be sure to check out our Challenge Blog, we will have a new challenge starting in a couple of days! Just up load a card to the gallery and you just might win a gift certificate to Dies R Us! Totally fabulous! I had been on the fence on this die until I saw your card. Now it's on my wish list!